They allow the use of tools and tool holders with a significantly shorter length compared to our competitors, ensuring perfect machining accessibility even near the two diving heads and the optional central support. The Direct Drive technology dividing heads achieve relevant dynamic performances, maximizing machining efficiency, especially at the airfoil leading and trailing edges. The wide range of distance adjustment between the two dividing heads allows the N-Series to be one of the most flexible machines in its class. 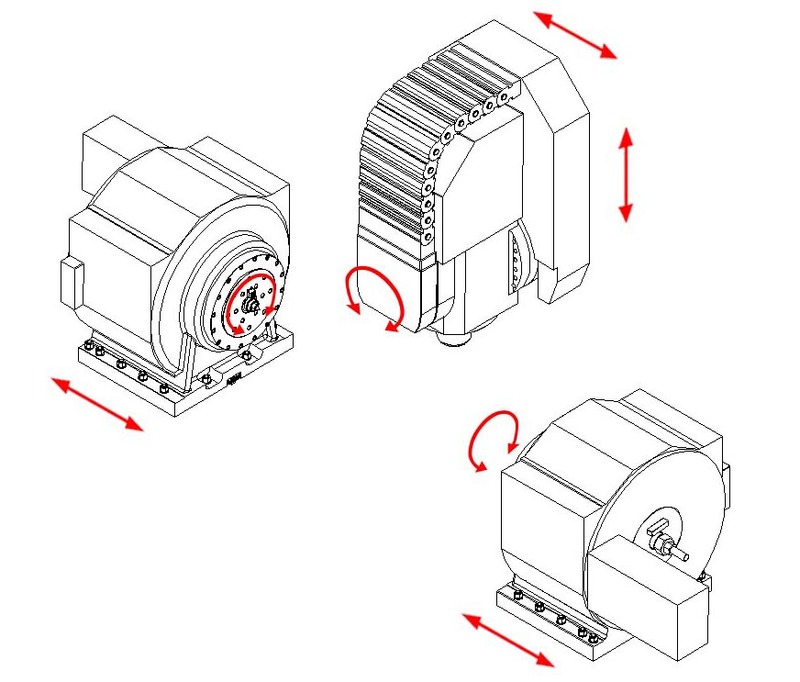 The angled X axis design allows for a very stable processing and perfect chips evacuation. 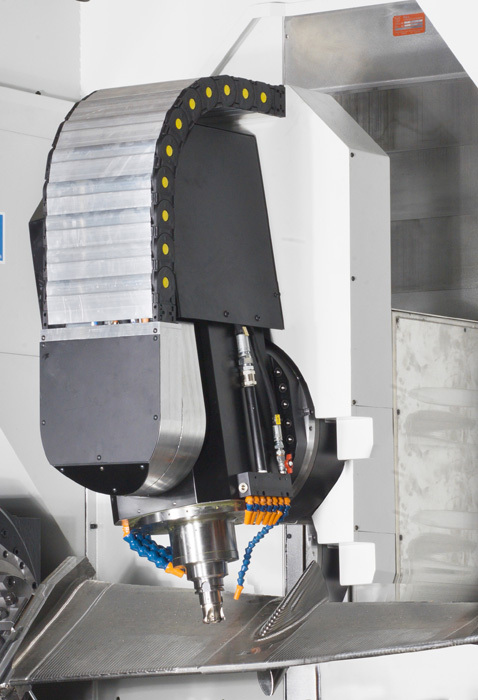 The N Series includes a full range of vertical high-speed 5-axes machining centers, specifically designed for precision machining of turbine blades for the aerospace and for the low pressure steam turbine for the energy sector up to a maximum length of 90 inches. The range includes 3 models, N316, N516 and N530, whose main difference is relate to the maximum size of workable pieces (Diameter x Length). N316: 500x1000, N516: 500x1400, N530: 700x2300. The N530 machine is among the bigger machines in the World in its category. 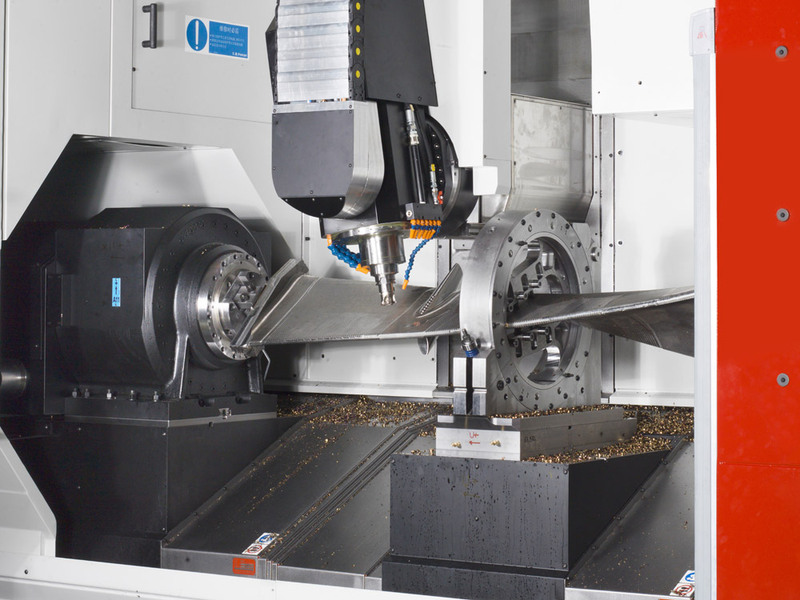 The special design, that combines high stiffness and reduced moving masses, allows the N-Series machines to achieve high dynamic performances during the 5-axes high speed precision machining of complex airfoil profiles. All the machines are equipped with a tilting head and two generous synchronized dividing heads with Direct Drive technology, powered by the latest generation torque motors, which directly support the workpiece. The distance between the two dividing heads is adjustable and allows the machining of blades of different length and type. 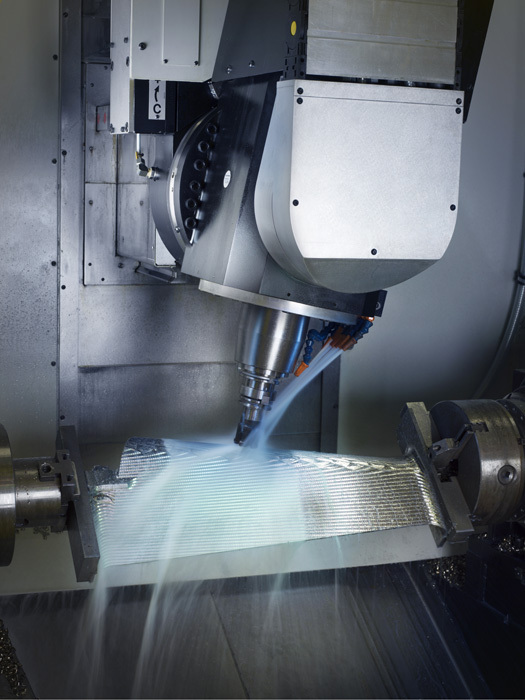 On the N530 machine it is possible to install an optional central support to increase efficiency in the machining of critical blades, especially during the roughing phase. For all configurations, a wide range of powerful electrospindles are available to meet the typical roughing and finishing needs of this application.